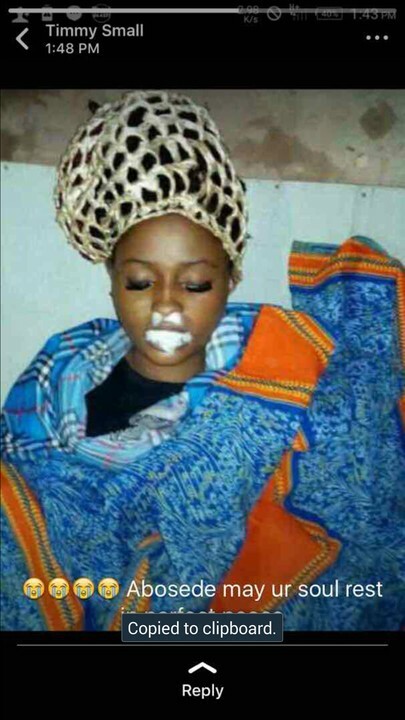 We just got words from a friend close to the diseased that the Slay Queen kingdom just lost another person and this time around, it's a beautiful lady identified as Ogunsola Abosede from Osogbo/Ilesha Osun State . 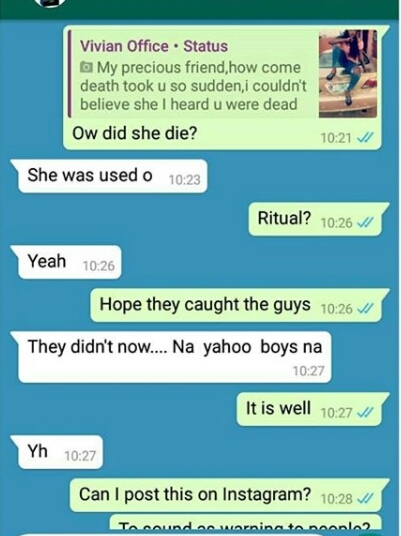 According to her, based on the chat she had with another friend via whatsapp, she said the deceased took ill for a short while before she finally gave up the ghost few days ago and circumstances surrounding her sudden demise suggests that she was allegedly used for Money rituals by Yahoo Boys. She later added. What a sad moment it will be for friends and family to loose such a beautiful and vibrant young lady who haven't seen or probably reached the pinnacle she planned to reach in life. 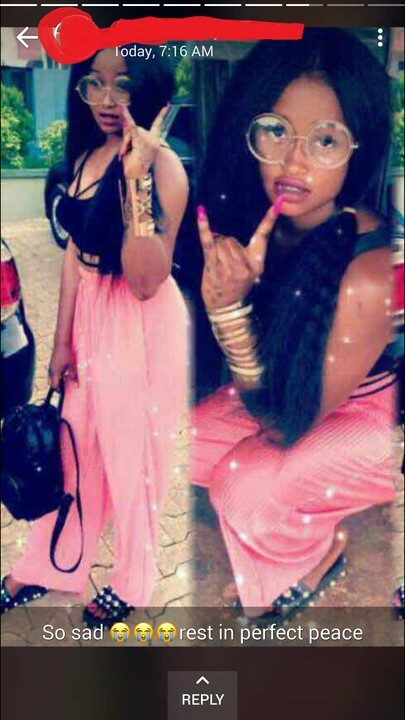 I hope all potential slay queens and young ladies out there, will learn from her and also know that by now Boys are not smiling when it comes to making money this 2018. 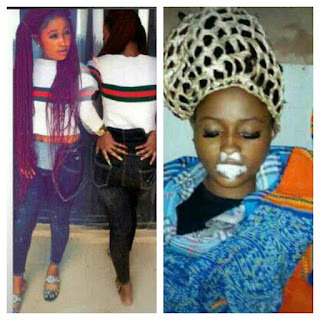 Lastly, Ladies please be wary and be careful whom you go out with. 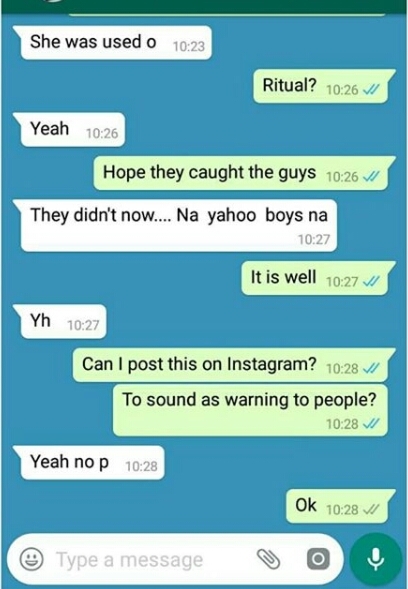 Below are screenshots shared by her close friends.